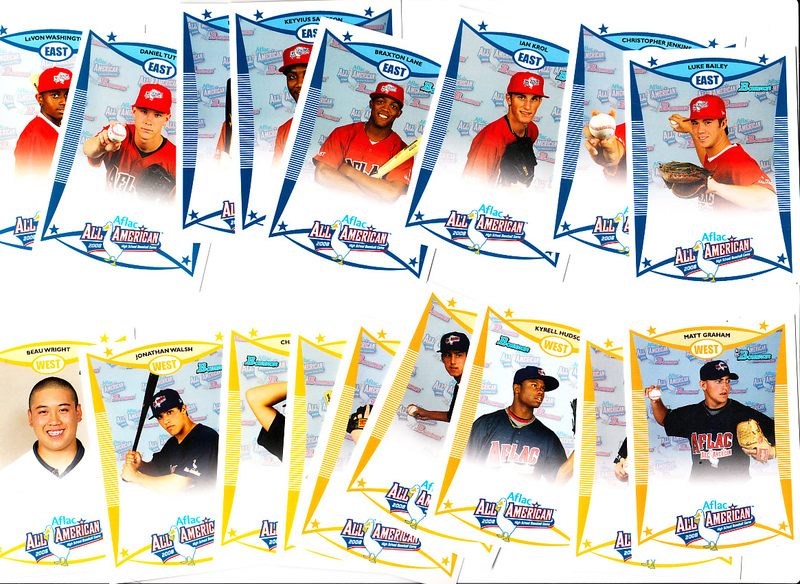 PARTIAL OR STARTER SET of 2008 Bowman (Topps) AFLAC High School All American Baseball Rookie Cards, including 17 different players: Luke Bailey, Ethan Carter, Christopher Jenkins, Ian Krol, Braxton Lane, Keyvius Sampson, Drew Steckenrider, Daniel Tuttle, LaVon Washington (EAST); Matt Graham, Scott Griggs, Kyrell Hudson, David Nick, Brooks Pounders, Chad Thompson, Jonathan Walsh and Beau Wright (WEST). All cards are NrMt-Mt or better; most are probably MINT but I cannot guarantee any specific grade from any specific grading company. 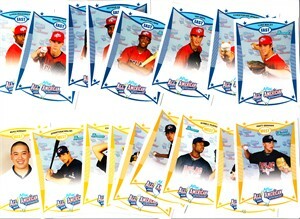 ONLY ONE PARTIAL SET AVAILABLE FOR SALE.